Since the time of inception in 1998, IICTC has an aim to improve the level of computer education in our society. To achieve this aim we have come up with a number of plans and taken broad initiatives for the welfare of society. We are regularly working by going among the people and wish to make computer education as prime as English and Mathematics are. We wish our children should come to learn basics of computer science as they go to learn basics of English, Hindi and Mathematics. I have set an approach towards poor people of society and put many schemes for spreading awareness among them. I always have close knit relationships with IDC committee. When they revealed to me about their wish to have a website, I discussed the same with my close ally Mohd Arshad (Founder, CT) and together we came out with a fair plan for IDC’s online presence. During this venture we saught the support of many other members of IDC family especially the Principal of IDC, Dr. R. K. Sharma. I’m thankful to all of them for their unmatching supports in successful completion of this endeavor. The advent of globalization in 90s made people to think about their organizations in a new way and in a new world too. The power of communication techniques has increased with a rapid speed and the Internet became a paramount support for all these advancements. Today every organization, whether it’s a manufacturing company, a service provider, an educational trust or a non-profit; wants to be present on Internet. Good aspect is that now having a presence on Internet is not as difficult as it was in 90s. We at Cherisys believe that "Technology is The Paradigm of Useful Information" and create IT solutions for customers seeking a fashionable alternative to conventional controlling environments. Highest value of us is the INTEGRITY, thereby providing our clients look us as trusted advisors. As a firm we commit to the highest ethical standards. When we come to know the decision taken by Management of IDC about having a website, we took it at firsthand. Our team resolute to conform with the prescribed needs of IDC committee along with suggesting them about newer aspects which can increse their online marketing ROI. 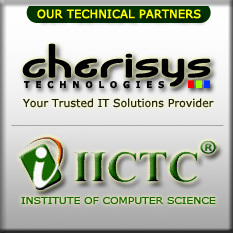 I on behalf of Team at Cherisys would like to pay my thanks to Mr. Mohammad Yunus (Director of IICTC) and Dr. R. K. Sharma (Principal of IDC) for their close coordination in finalizing each and every facet of the website as a project. Finally, I’m also thankful to the members of IDC committee for their valuable collaboration in making the project whole. Years back the management expert, leader and strategist, Mr. Jack Welch (then CEO of General Electric) talked about the sustainability of businesses in present era. He quoted, "Every company has to become an Internet company otherwise it won't be a company...". This is a great say which I can never forget but I would like to add a line to it, that is "...and an early start pays for long time".